In years gone by, rail travel was one of the main modes of transport for freight and people. However the opening of an car industry in Australia saw an affordable and more flexible alternative to rail travel introduced. In time it also saw the closure of numerous rail lines due to poor economics. But what do you do with an old rail corridor once you have disposed of the sleepers and the rail ? Answer : make the corridor in to a multi-use trail for walkers, runners, cyclists and horse riders. 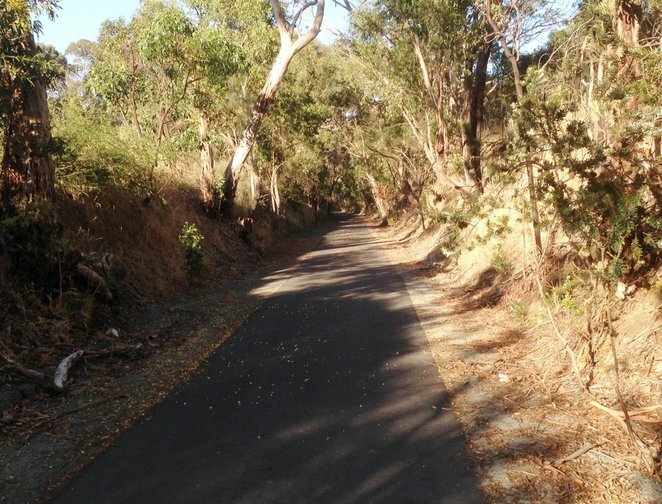 And this is exactly what the Adelaide Hills Council and the South Australian Government have done for 17km of the former rail corridor from Balhannah to Mt Torrens, with the last 7km of the trail to Mt Torrens completed earlier in 2014. Last weekend, I packed the bike on the car, and decided to ride the trail and tour the Onkaparinga Valley. 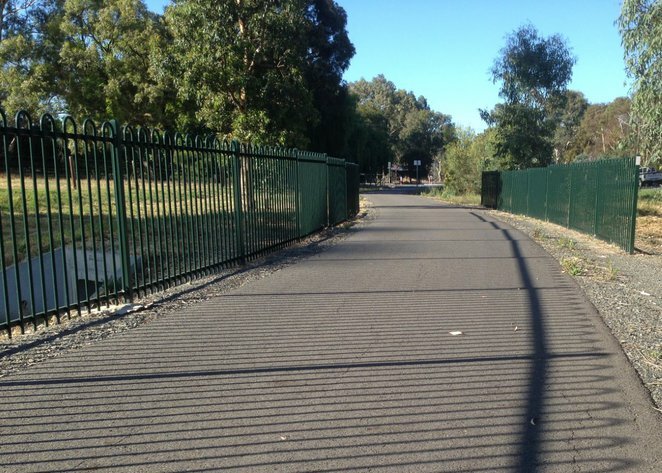 The trail starts (or finishes) at the former Mt Torrens Railway Station in Mt Torrens, although there are numerous parking spots along the trail, so you can start and finish wherever you may like dependent upon your ability and the number of kids etc. 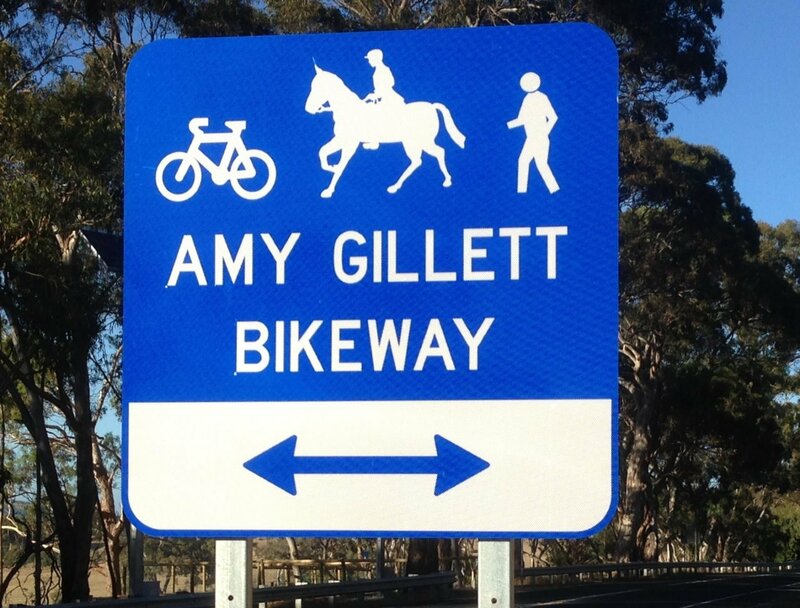 Known as the Amy Gillett Bikeway in honor of the great South Australian cyclist who was tragically killed during a training camp, the Bikeway is constructed of well laid bitumen and has bridges over culverts and creek crossings and some excellent signage to ensure that cars don't mix with anyone on the Bikeway. 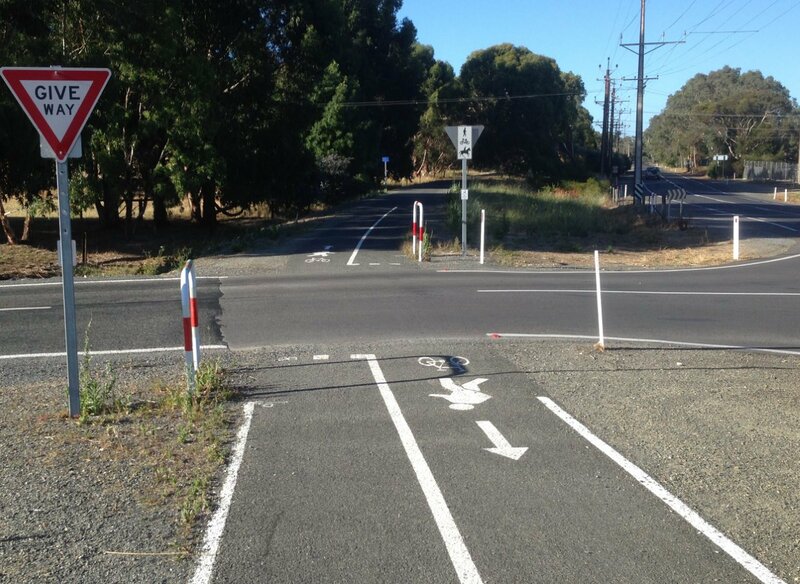 Starting at Mt Torrens, there is a gradual climb for around 2km to the intersection with the main Mt Torrens-Lobethal Road before we come across some excellent signage on the road and the Bikeway that advises of the intersection. Once across the intersection, it is all downhill on a steady slope as the Bikeway follows the former rail corridor through the significant rail cut-outs (trains don't go up and down very easily, so the land was cutout and levelled in order to ensure a small but gradual gradient). After another 5km of steady cruising, the Bikeway passes through the small rural township of Charleston. 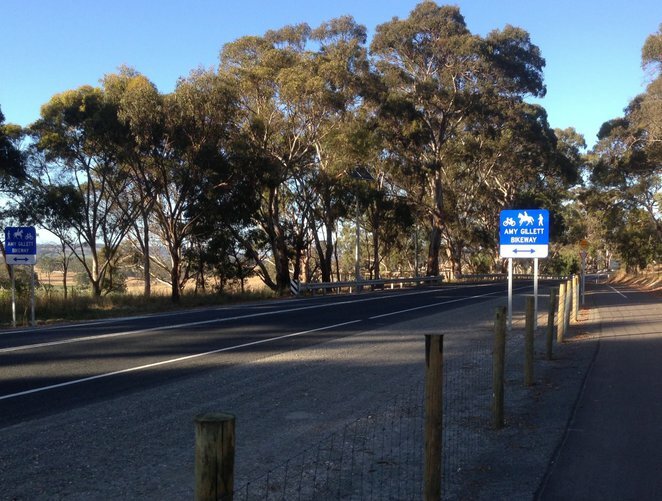 Once past Charleston the Bikeway parallels the main Onkaparinga Valley Road through Woodside and to the end near Oakbank. This end is approximately 2km short of where the real rail line ended at the Balhannah Junction, but is necessary as the former rail land has been sold to local residents, some whom have built houses on this land. Travelling from Charleston to Oakbank the Bikeway passes numerous highlights of the Onkaparinga Valley including Melba's Chocolates, Woodside Cheesewrights, Lovell's Bakery, Lobethal Bakery, the Lions Market in Woodside, Kelsey Cottage Café, Olive Branch Café, Johnston Cordials and Cocolat, just to name a few. 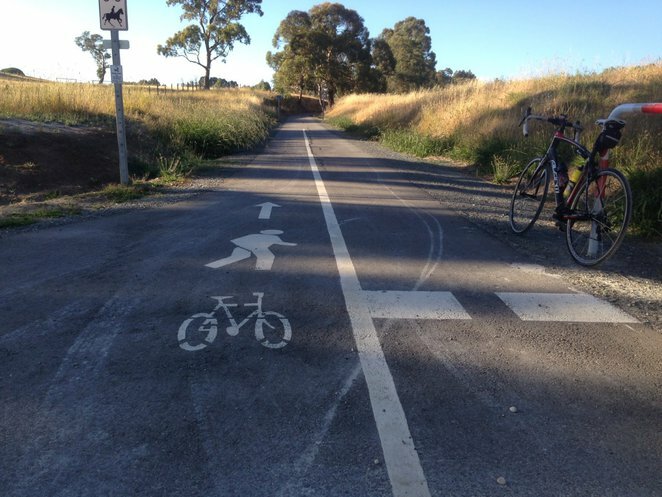 Ultimately it is intended that the Bikeway would be extended another 15km to Mt Pleasant (subject to usage and cost), and potentially to complete a large loop by joining with the Jack Bobridge Track in the Barossa Valley at Angaston. 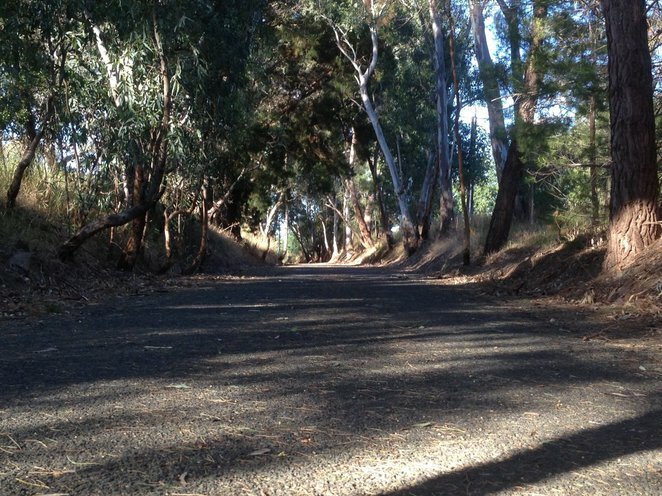 However, as it is, the 17km provides a pleasant path for walkers and runners, and a smooth path for cyclists to take them off the main Onkaparinga Valley Road. I hope they do keep the natural features when they extend it to Birdwood. The old rail bridge over Burford Hill Road will be great to ride over, and riding past the old platforms in Birdwood will make it a real tourist trail.